The multiplicand is a two digits number. Before this, we have learned a trick on how to multiply a two digits number by 99. 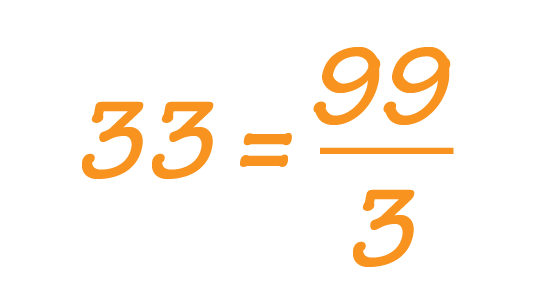 Therefore, when multiplying a number by 33, we may convert 33 to 99/3. Since multiplying a number by 99 can be done easily, hence this calculation can be completed easily. 78 x 33 = ? Note: 78 is a multiple of 3. Therefore, you are advised to divide 78 by 3 before moving on to the multiplication. 267 x 33 = ? 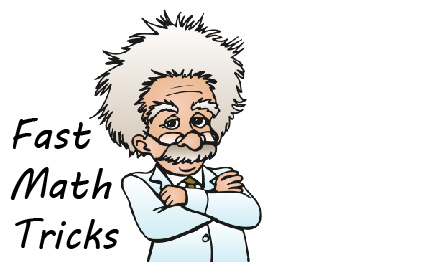 Even though 267 is not a two digits number, it can still be solved by using this trick because it is a multiple of 3, and after divided by 3, it is reduced to 87, which is a two digit number. 47 x 33 = ? 47 is not a multiple of 3. Therefore you are advised to do the multiplication first, then only divide the product by 3.